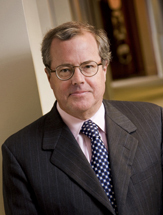 Mickey Mixson represents individuals and corporations in a wide variety of business disputes. He has successfully presented hundreds of complex commercial disputes to juries, arbitration panels and judges, gaining a reputation for success with cases considered “unwinnable” by others. Mickey’s areas of focus include business torts, corporate governance, partnership and fiduciary disputes, insurance coverage and bad faith litigation, attorney and accountant liability, RICO, tender offers, and proxy and securities litigation. In recent years, he has recovered awards and settlements for clients totaling well over $2 billion. He has an equally successful record on the defense side, having obtained summary judgments, dismissals and defense verdicts for numerous major claims. Mickey is a Fellow of the American College of Trial Lawyers, a Fellow in the International Academy of Trial Lawyers, and recognized by Chambers USA and Chambers Global as one of the highest-ranking trial lawyers in the United States, and among the top commercial litigators in Georgia. According to Chambers, he is a "creative and diligent trial lawyer" with "a superb touch with juries" and "has a fantastic record of success in complex commercial disputes and comes highly regarded for his work in business torts, corporate governance and fiduciary disputes." The most recent version of Chambers USA described him as "one hell of a lawyer." Mickey is a frequent lecturer, and has published numerous articles on trial practice and business litigation issues such as the effective use of experts, presenting persuasive opening and closing arguments and the ACC Value Challenge. He is currently president of the Atlanta chapter of the International Network of Boutique Law Firms. Co-counsel for the plaintiffs, Six Flags Over Georgia, in a breach of fiduciary duty case against Time Warner Entertainment which resulted in a $454 million jury verdict, the largest verdict ever awarded in Georgia (a verdict which was affirmed on appeal and paid in full). Lead counsel representing David McDavid in obtaining a $281 million jury verdict against Turner Broadcasting System (TBS) for breaching an agreement to sell McDavid the Atlanta Hawks, the Atlanta Thrashers and the operating rights to Philips Arena. Affirmed in full on appeal, the jury verdict is the largest compensatory damage award in Georgia history. Lead counsel for the plaintiff class in Abdallah v. Coca-Cola Co., the largest private class action racial discrimination settlement in history, which settled for $192.5 million. Achieved a settlement in a contract dispute case between a leading transportation company and a major supplier, resulting in $200+ million recovery for our client. Represented several groups of individuals asserting related professional liability claims involving tax shelters, recovering more than $350 million through a combination of settlements and awards. Successfully defended a major regional accounting firm from professional malpractice, fraud and RICO claims, winning summary judgment on all counts. Successfully defended Farley Industries in a dissenters’ rights case before the Georgia Supreme Court, a decision of first impression which has become the seminal case on dissenters’ rights in Georgia. Represented one of the largest real estate developers in the United States in the withdrawal of a major regional partner from hundreds of partnerships, including coordinating and successfully concluding simultaneous litigation in multiple forums. Represented Novelis Corporation in a contract dispute with the consortium representing Coca Cola bottlers. Novelis, the world's leading producer of aluminum rolled products, supplies aluminum can sheet to Coke, which alleged that Novelis had violated the terms of their supply agreement's most favored nation provision. After three years of discovery and proceedings, the Superior Court in Fulton County, Georgia, granted summary judgment in favor of Novelis. Successfully defended a major airline client in an international arbitration proceeding, recovering more than $40 million on its counterclaims.